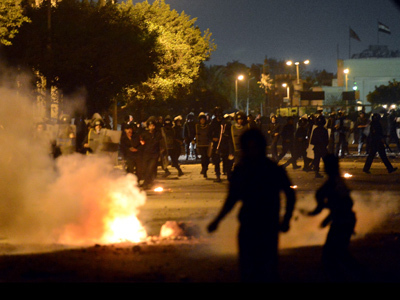 Egyptian police had to use water cannons and tear gas to disperse stone-throwing protesters gathered outside the presidential palace in Cairo. 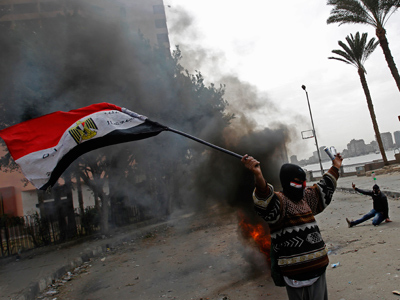 The clashes broke out after several hundred demonstrators marched to the palace on a day of marches against Egyptian President Mohamed Morsi. 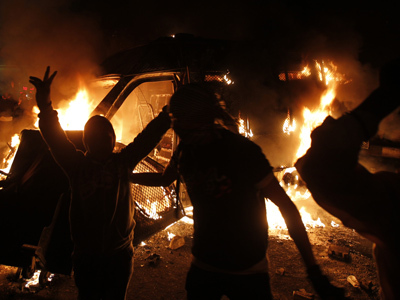 Other protesters marched to Tahrir Square chanting,"Down with Brotherhood rule," Naharnet reported. Thousands of other protesters took part in separate demonstrations across the country. 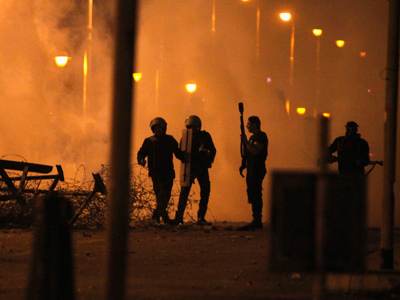 The Presidential Guard began spraying protesters with water hoses after they attempted to remove barbed wire surrounding the palace, Al-Ahram reported. "We may be few in numbers but we will not back down from fighting criminals dressed up in police uniform," protester Ahmed Farghaly told Reuters. Protesters are demanding that Morsi fulfill the goals of the revolution which brought him and his Muslim Brotherhood party to power. Those demands include a new unity government, amendments to an Islamist-drafted constitution, and the sacking of Egypt's prosecutor general. The demonstrators are also angry that no one has been held accountable for the deaths of dozens of protesters in clashes with police during recent months. Earlier Monday, a central Cairo subway station was blocked by several masked men, who fought passengers trying to stop them. At the same time, the doors of the main administrative building for state services, which is outside the station at Tahrir Square, were locked by protesters. They also blocked traffic at a main bridge near the presidential palace. 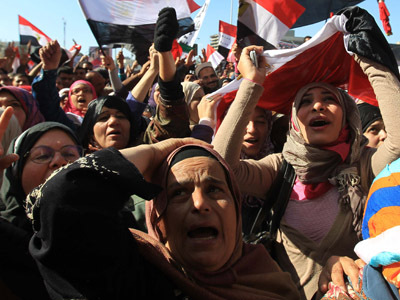 The protesters were marking the second anniversary of the ousting of former President Hosni Mubarak with angry protests directed at his successor. ­Author and journalist Ramzy Baroud told RT that the opposition groups’ actions were triggered by the instability of Egypt's fractured civil society. 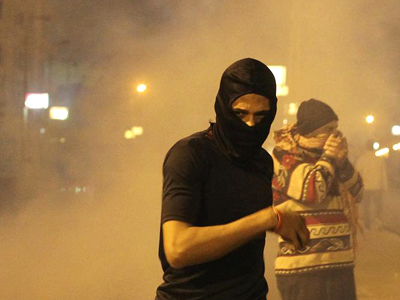 Baroud singled out the Black Bloc, a group of masked youths who present themselves as the defenders of anti-Morsi protesters.